When it comes to cooking the food from another culture, the ingredients and techniques can be unfamiliar. Going to a foreign country and taking a cooking class is great, but not a readily accessible opportunity for most. Fortunately there are local cooking classes and cooking kits. Recently launched Global Grub offers cooking kits with extremely well written instructions that will help you succeed in making things like sushi, or jerk chicken with coconut rice and beans. 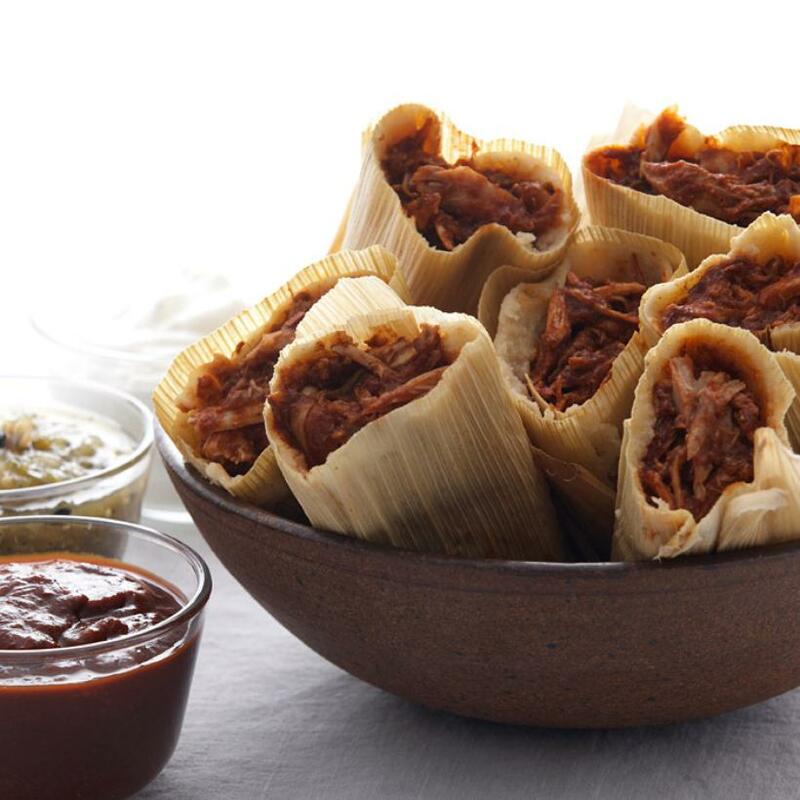 I used the tamales kit and was very impressed with the quality of the ingredients, the clear instructions and the wonderful results. My dad said the tamales were the best he'd ever eaten! Kits include the dry and hard to find ingredients, and range in price from $13.99 up to $19.99 and for every kit purchased, Global Grub donates a meal to someone in need through their local food bank. Global Grub offers tutorial videos on their site, and the instructions with each kit are easily folded into a stand for easy reference as you cook. I'm a big fan of La Cocina. I've volunteered with them, written about them and took a wonderful mole class at their Mission location. Now they are holding even more classes that you can take from cooks who are part of their culinary business incubator program. Classes are an "interactive cooking party" and also include a meal. The $65 class fee supports the non-profit programs at La Cocina. Though I don't have any direct experience to report, I'm intrigued by Culture Kitchen. They are combining classes with home cooks, videos and cooking kits to get you up to speed cooking things like pad thai, masala chai and eggplant with garlic and mint. Each class costs $60 and includes a full meal, locations vary, kits are $34.99. Note: I paid for the class I took at La Cocina, the tamales kit from Global Grub was a sample.